As mobile technology grows in various forms, we are not only limited to smartphones and tablets anymore — here comes the smartwatches. Although these wearable technologies haven’t completely replaced our handsets, it is gradually garnering a strong following. Statista’s report, ‘Shipments of smart watches worldwide from 2013 to 2015,’ showed that in 2013 there were 1.23 million units shipped, which made a huge leap this year with 7.44 million units. The statistics also forecasted almost 25 million smartwatches to be shipped worldwide next year. With an increasing number of wearable devices, marketers are now looking out for ways on tapping that market by making their applications available for this platform. However, if enterprises would want to make their applications ready for smartwatches, there are a few items they need to understand first, which we will discuss in this article. 1. Forward Thinking: Plan ahead. Start early by launching your official application on the smartwatch app store before everyone does it. 3. Be the more techie one: Show your audience that you can provide them an innovative solution to their needs (before they ask for it), and they’ll surely follow your brand. 4. Improving the user app experience: Some applications are more convenient to be used in a smartwatch such as Fitness apps like Endomondo, thus fully maximize the device’s features and potential in highlighting your application. PayPal is now on Pebble, why aren’t you? Apart from fitness and health activities, mobile payment through wearables will soon be the next big thing. Recently, online money transfer giant Paypal announced their app’s expansion to the Pebble app store. The mobile payment and transfer application is now available to be used in the Pebble Original and Pebble Steel. 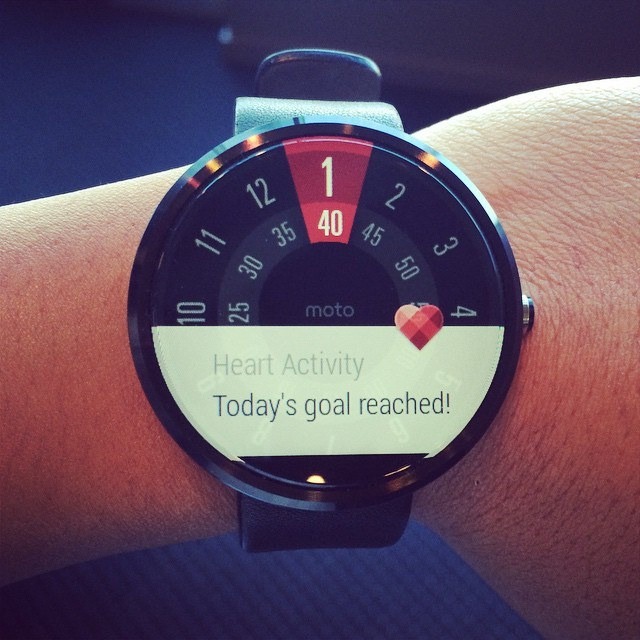 The application is also for the Samsung Gear 2, Samsung Gear Fit, Samsung S, and Android Wear. “Instead of pulling out a wallet, you pay right from your wrist,” Paypal’s official statement on their website said. • Keep it static: App content should be motionless as much as possible, since moving content are distracting, especially on a small screen, and uses more battery. • Keep it simple: Since most smartwatches today only tap information from its paired handset, keep the wearable tech app’s functionality to a minimum. Be practical in choosing which functions to keep and which ones you should retain on the smartphone. • Keep it appealing: Among other items, take note that although the functions are less on the watch’s app than on the phone, you must make it aesthetically appealing. Don’t make the icons and fonts too big, but don’t make it too small either. It’s best to test it on the device itself to get the realistic appearance. • Maximize the device’s main features: Most smartwatches comes with unique features such as the heart rate sensor and the pedometer. Incorporate the use of this hardware in your application. Above all, understand first the model of smartwatch that you will work on, and tailor your application based on its specifications and features. In O2’s Wearable Tech page alone, we can see that the 10 devices featured on the site vary on appearances and functionalities such as the Sony Smartwatch 2 that has a completely different display design from its successor, the Sony Smartwatch 3. Sometimes, it’s best to leave it to the experts. Even the most experienced smartphone and tablet app developer may experience difficulties in building their smartwatch app, especially that there’s lots of room for success and failure. At times, it’s best to minimize errors and risks by not doing the work ourselves. We highly recommend that you consult and take advice from experts with years of experience in app development who can handle the job for you.